Who Is Robin Robins And Why Is Everyone In The IT Industry Talking About Her? There is no doubt about it: Robin Robins has helped more MSPs and IT services businesses to double – even triple – sales, profits and MRR growth than any other marketing consultant in the IT services industry, period. As a trusted advisor to over 7,000 IT services business owners for over 13 years, Robin knows a thing or two about what it takes to grow sales, recurring revenue streams and a profitable client base for an IT services business. 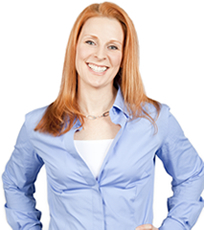 In addition to her hands-on experience in working with IT business owners, Robin runs a phenomenally successful and profitable multi-million dollar services business herself. Unlike many "ivory tower" consultants who run a business in their dreams, she can speak from actual experience in marketing, packaging and delivering intangible services, dominating a niche, building a "dream team" of colleagues (staff) and building a raving-fan, loyal client base. Crafting highly effective sales presentations and direct-response marketing systems for IT services. Creating reliable, repeatable "Marketing Oil Wells" that bring in a steady flow of high-quality prospects. Cultivating extremely profitable sponsorship and strategic joint venture partnerships. Coaching sales and marketing teams for peak performance. Robin has been a favorite speaker for IT industry events such as System Builder Summit, SMB Nation, CompTIA's BreakAway, CT Summit, ASCII Boot Camps, MSPU Boot Camp and Strategies for Success, and has been interviewed and published in VAR Business and Sales and Marketing Magazine. She writes columns for ITChannelInsight.com, eChannelLine.com, SMB Nation Partner Magazine, Microsoft's Partner web site, and runs the largest, most successful sales and marketing coaching program in the world for the CEOs of IT services firms. In addition to her extensive experience with IT service firms, Robin has also developed marketing strategies for over 4,500 businesses in 14 different industries across North America, Australia, and Europe. This includes both online and off-line marketing strategies for computer training schools and universities, franchise organizations, software companies (Novell, Surf Control, AVG anti-virus, and Microsoft), financial services, seminars and events, member organizations, and a variety of consumer products and services. This vast experience has given Robin a broad knowledge of hundreds of marketing and sales tactics used by some of the most successful and sales driven organizations in the world. Why Does Robin Work With Small IT Firms And Not The Big Guys? First, I find many big firms frustrating to work with. It's next to impossible to get anything implemented because of all the politics and red tape. Everything is a committee decision that only serves to stall action and water down ideas. Plus, there is a lot of "schmoozing" that has to go on to get in the doors in the first place. I'm not a good "schmoozer" and refuse to kiss up to someone to earn their business. I stand on results and results alone. I don't usually find any of this with small business owners. Second, I enjoy the challenge of working with the small firm. All my life I've had to build something from nothing, and that's what I've gotten really great at – scrappy, creative and really, really smart strategy coupled with hard work. Third (and probably most important), I love helping the 'underdog.' When a client comes to me with a story about how I've helped them finally get the financial success they so desperately needed, or that I've helped them get out of debt and save their business (and sometimes their marriage!) I'm totally fulfilled. That gives me far more personal gratification than helping a $50 million dollar firm generate an increase in sales. I've built my business from nothing and know how hard it can be to start and grow a business when you've got no money, no help and the world on your shoulders. I'm proud to be that "rock in the storm" to help my clients enjoy the same level of success and financial freedom I've been able to achieve myself. To always give my clients products and services that exceed their expectations. To earn the trust and respect of my clients through kept promises and honesty. To proactively contribute to not only my clients' financial success, but also their emotional, physical, and spiritual well being. To make a positive contribution in some small way to every person I have the opportunity to touch.